The contents of this website are only for general information or use by our customers or potential customers.  All and any rights to the contents of this website, and the software running it, is owned by Everywoah SL and/or its suppliers. The authors of the material contained in the website assert their moral rights. All information on this website is provided on an “as is” basis only and should not be relied on. We do not accept any responsibility for any loss which may arise from reliance on any information contained in this website. We will not be liable for any damages (including, without limitation, damages for any consequential loss or loss of business opportunities or projects, or loss of profits) howsoever arising and whether in contract, tort or otherwise from the use of or inability to use this website, or any of its contents and materials, or from any action or omission taken as a result of using the website or any such contents. In any event, all liability is excluded to the fullest extent permitted by applicable law including any implied terms as the contents of this website is provided “as is” without warranties of any kind. Your use of this website and any issues arising from it are governed by Spanish law subject to the exclusive jurisdiction of the Spanish Courts. We control and operate this website from our offices in Spain. Your use of this website constitutes acceptance of these terms. If you do not agree with the governing law or these terms, please do not use this website. In keeping with the provisions of the law on the protection of personal data, the owner of everywoah.com, Everywoah SL, with NIF tax no. B66887985 and address at Palau de Mar, Plaça de Pau Vila Nº1, Sector C, 2° , Barcelona Tech City, CP 08039 (hereinafter the Owner) informs you of the existence of a file of personal information containing the information that customers and/or users of the website give in the website’s various sections. The Owner itself is responsible for said file and is the recipient of the data processed, unless another recipient is expressly specified in the following sections. The user and owner of the data is informed and gives his/her unequivocal consent, that on filling in the various forms, entering data and other data collection via whatever means used on this website, their personal data will be incorporated into the aforementioned file in order to sell contracted products, if applicable, and to provide its services and keep the user informed about the products offered, for which purpose it may send him/her informative or promotional electronic communications from which he/she may unsubscribe free of charge is he/she so wishes. The data requested in the various sections are necessary in order to provide the service unless it is not specified in the corresponding field that this is compulsory. At any time, the user can withdraw his/her consent to the aforementioned commercial uses free of charge. Personal data shall only be transferred to third parties in the cases covered by the legislation in force and said data shall not be transferred without the express consent of the affected party, unless it is a case in which such consent is not required under applicable law. The Owner agrees to comply with its obligation to secrecy as regards personal data and the duty to keep them confidential. For this purpose, it shall take reasonable security measures provided by law to prevent alteration, loss or unauthorized access. The User is also informed that he/she is responsible for the accuracy of the information provided and the Owner reserves the right to terminate his/her account if it detects any irregularity concerning the veracity of the data provided. This data protection policy may vary over time due to possible changes in legislation, jurisprudence or the criteria followed by the Spanish Data Protection Agency and/or the competent authority at all times. For this reason, the Owner reserves the right to modify these conditions to adapt them to new legislation or jurisprudence that may be in force at the precise moment the website is accessed, as well as to practices in the industry. Postal address: Palau de Mar, Plaça de Pau Vila Nº1, Sector C, 2° planta, Barcelona Tech City, CP 08039 Barcelona, Spain. Prior Administrative Authorisation: The Owner, by virtue of the activity carried out, is not subject to Prior Administrative Authorisation. Regulated Profession: This is not a regulated profession. The Owner does not adhere to any code of conduct. The User may contact the Owner by postal mail to the above address or by email using the address hello AT everywoah.com as well as by phone +34 610 454 800. USERS: Access and/or use of this website implies the condition of a User, who by making said use and/or access thereby accepts this Legal Notice, as well as the other conditions, policies and notices that may be stipulated in different sections of the website. Generally, only natural persons and legal entities with the sufficient legal capacity in keeping with applicable law may use this website. In exceptional cases, and provided this does not contravene any regulations or legislation, legal minors may use the site provided they have previously obtained permission from their parents or legal guardians, who are responsible for their child’s use of the website. USE OF THE WEBSITE: The Owner provides access to a great amount of information, services, photos and data (hereinafter “content”) via the Internet belonging to the Owner or its licensors, which the User can access. The User assumes liability for use of the website. This liability extends to the sign-up (registration) that may be necessary to access certain services or content. When thus signing up, the User is responsible for providing true and lawful information. As a result of this sign-up, the User may be given a password for which the User shall be responsible, pledging to make diligent and confidential use of it. In connection with the above, this site may contain restricted areas, protected by IDs and passwords or other security mechanisms. The User shall not attempt to access these areas if not duly authorized by the Owner, or attempt to evade or manipulate the protection mechanisms set up by the latter for security. Users that have been authorized by the Owner to access any of these protected areas shall be exclusively responsible for maintaining the strictest secrecy for IDs, identifiers, passwords and other security methods that the Owner makes available to them in order to access protected areas, and not to disclose them to third parties. The User is therefore solely responsible for any damages arising from not keeping the aforementioned security mechanisms secret. The User agrees to make appropriate use of the content and services that the Owner provides through its website, by way of example but not limited to: refraining from (i) engaging in activities that are illicit, illegal or contrary to good faith and public order; (ii) disseminating content or propaganda of a racist, xenophobic, pornographic or illegal nature, or which condones terrorism or goes against human rights; (iii) causing damage to the physical and logic systems belonging to the Owner, its suppliers or third parties, or introducing or spreading computer viruses or any other physical or logic systems that are capable of causing the aforementioned damage; (iv) attempting to access and, where applicable, to use the email accounts of other users and modify or manipulate their messages. The Owner reserves the right to remove any comments or contributions that violate respect for human dignity, or which are discriminatory, xenophobic, racist, pornographic or which pose a risk as regards youth or childhood, public order or safety or which, in the Owner’s opinion, are not suitable for publication. In any case, the Owner shall not be liable for the opinions expressed by Users via forums, chat rooms, social networks (via the Owner’s corresponding profile) or other tools for participation. INFORMATION PROVIDED BY THE USERS: This website may contain forums, chat rooms, spaces for uploading photos and other mechanisms by which the users can express their opinions and exchange electronic files. The information, communications and files sent via these rooms and forums, along with email addresses and other communications disclosed by users, shall not be considered confidential material. When the Users transmit or post any information on this website, they thereby grant the Owner authorization to use said information, including, but not limited to, the use, reproduction, transmission, publication and delivery of said information for any purpose, including publishing or disseminating it via the social networks. The Owner does not assume any responsibility for the content of the information or communications sent by the Users via these areas. The User assumes any responsibility for the information uploaded or shared, stating that it complies with all applicable regulations, specifically but not limited to Law 15/99 on Data Protection. INTELLECTUAL AND INDUSTRIAL PROPERTY: The Owner is, in itself or as an assignee, the owner of all rights to the intellectual and industrial property on its website as well as the features contained therein (by way of example: images, sound, audio, video, software and texts; trademarks and logos; colour, structure and design combinations; assortment of materials used; computer programs necessary for it to work, to provide access and to be used, etc. ), which are the property of the Owner or its licensors and suppliers. All rights are reserved and it is expressly forbidden to reproduce, distribute or publicly communicate all or part of the content of this web page, including any means of making it available, for commercial purposes, on any medium or by any technical means, without the Owner’s authorization. The User agrees to observe the Intellectual Property rights owned by the Owner. The User may view and even print, copy or store the website’s elements on his/her computer’s hard drive or on any other physical medium, provided it is solely and exclusively for his/her personal and private use. The User must not remove, alter, evade or manipulate any protective device or security system that may be installed in the Owner’s web pages. EXCLUSION FROM GUARANTEES AND LIABILITIES: The Owner shall not be liable under any circumstances for damages of any kind that may cause, by way of example but not limited to: errors or omissions in the content, a lack of availability of the website or the transmission of viruses or malware in the contents, despite having taken all the necessary technological measures to prevent this. MODIFICATIONS: The Owner may also carry out the changes it deems necessary to its website without prior notice, and may change, delete, or add to the contents and services it provides via said website, as well as the way these are presented and located in its website. The Owner reserves the right to temporarily suspend access to this website, without prior notice necessary, for the purpose of maintenance, repairs, updating or improvements. LINKS: In the event that the website contains links or hyperlinks to other Internet sites, the Owner shall not exercise any control over such websites and content. Under no circumstances shall the Owner bear any responsibility for the content from any link belonging to another website it does not own, nor guarantee the technical availability, quality, reliability, accuracy, scope, veracity, validity and constitutional nature of any material or information contained in any such hyperlinks or other Internet websites. Likewise, the inclusion of these external connections does not imply any association, merger or partnership with the entities connected. RIGHT OF EXCLUSION: The Owner reserves the right to deny or withdraw access to the website and/or services offered without notice, by its own decision or upon recommendation by a third party, to Users who breach this legal notice or any other conditions provided for in the Owner’s website. GENERAL INFORMATION: The Owner shall prosecute breaches of these conditions and any misuse of its website, exercising all actions provided for in civil and criminal law that it is permitted to use. OTHER CONDITIONS OF USE: In addition to the provisions of this Legal Notice, the User acknowledges and accepts the other general conditions provided for use of this website and use of its services. MODIFICATION OF THESE CONDITIONS AND DURATION: The Owner may change the conditions specified herein at any time, duly making them public as they appear herein. These conditions shall be valid as long as they are displayed and until they are modified by others that are duly made public likewise. Although the legal relationship between the Owner and the User arising from access and use of the website is considered to be valid for an indefinite period, it shall be considered terminated when the Owner changes these current conditions. When the Owner announces that they have been changed, and the User accesses and uses the website’s services and content, it shall be deemed that a new legal relationship has begun between the two parties, which shall be for an equally indefinite period. APPLICABLE LAW AND JURISDICTION: The relationship between the Owner and the User shall be governed by Spanish legislation. Any dispute shall be submitted to the Courts of the Owner’s city unless by law they must be submitted to those of the User’s address or else the Owner expresses that it has submitted itself to an arbitration process. If the User decides to use or consult this website from outside the Owner’s country, he/she must remember that he/she does so on his/her own initiative and is responsible for complying with the applicable local laws. Updated on 2018-06-28T15:02:44+01:00, by Paul Gailey Alburquerque.